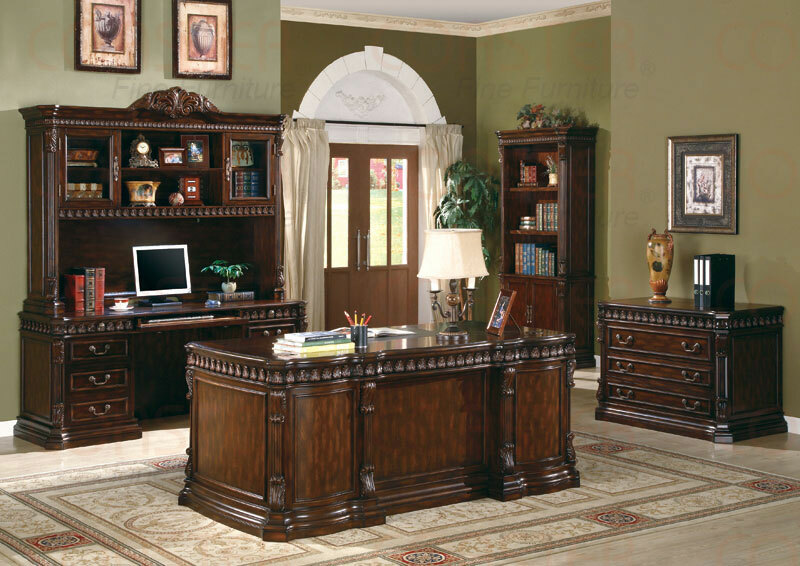 This large scaled home office collection in a rich Walnut brown finish, features detailed carvings found through out each piece. Desk features felt lined top drawers, keyboard drawer and storage for your computer. Ball baring glides, power strip and task lighting on the hutch.